1700s  William Vanderhorst owned the plantation (1). 1784  Joshua Toomer married William's daughter Sabina. 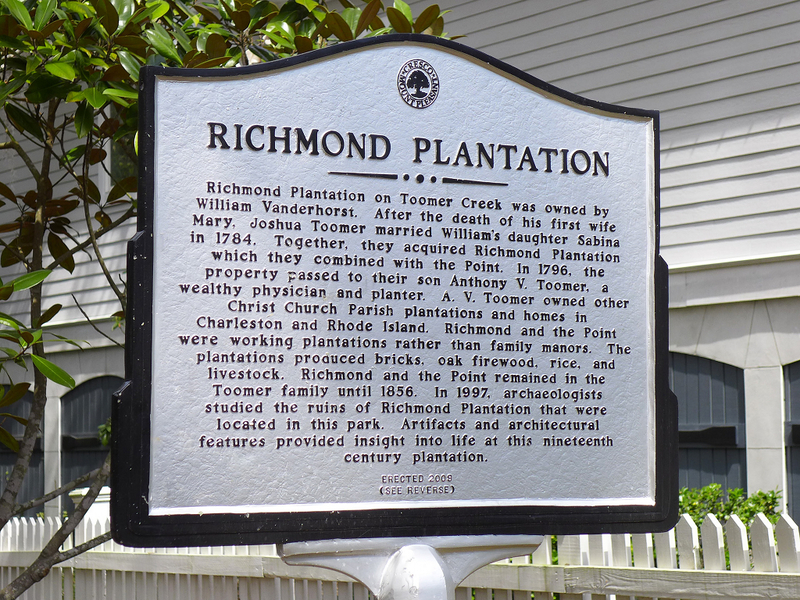 They combined the neighboring Vanderhorst Point Plantation and Richmond Plantation (1). 1997  Archaeologists found hundreds of articfacts associated with the families that once lived at the plantation during an excavation of the property (1).